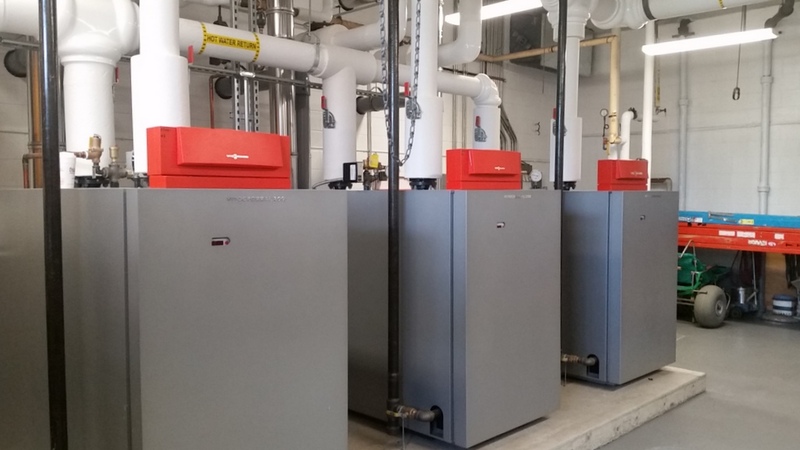 Commercial Boiler Installation - Sander Mechanical is proud to be a factory-certified commercial installer of Viessmann boilers for all of New Jersey and eastern Pennsylvania. 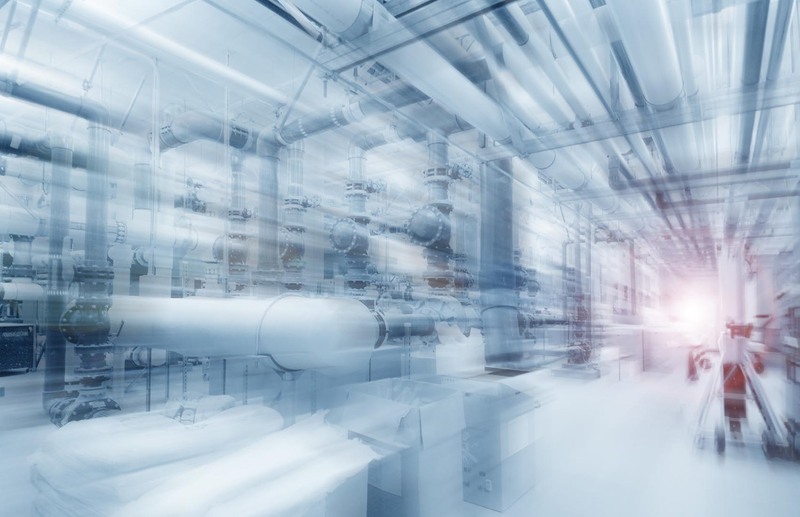 When it comes to commercial boiler installation, we utilize Viessmann gas-fired condensing boilers, the world leader in boiler design and technology. 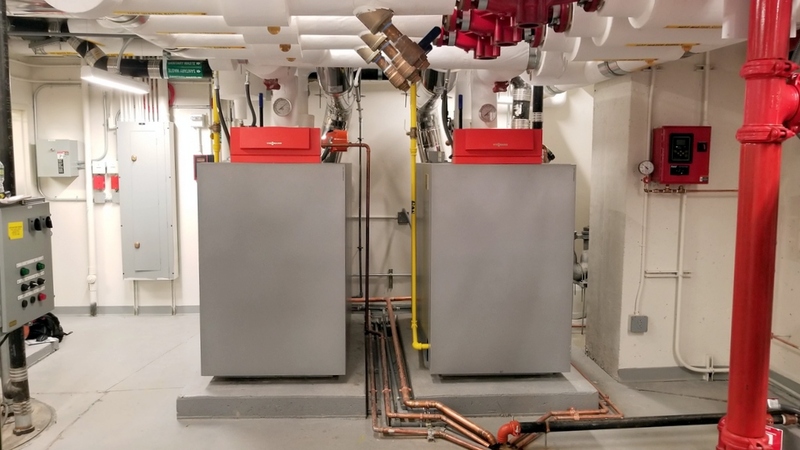 Viessmann’s hydronic boiler systems are among the most energy-efficient and economical systems for providing space heating for building occupant comfort, as well as for domestic hot water and process hot water in commercial and industrial applications. 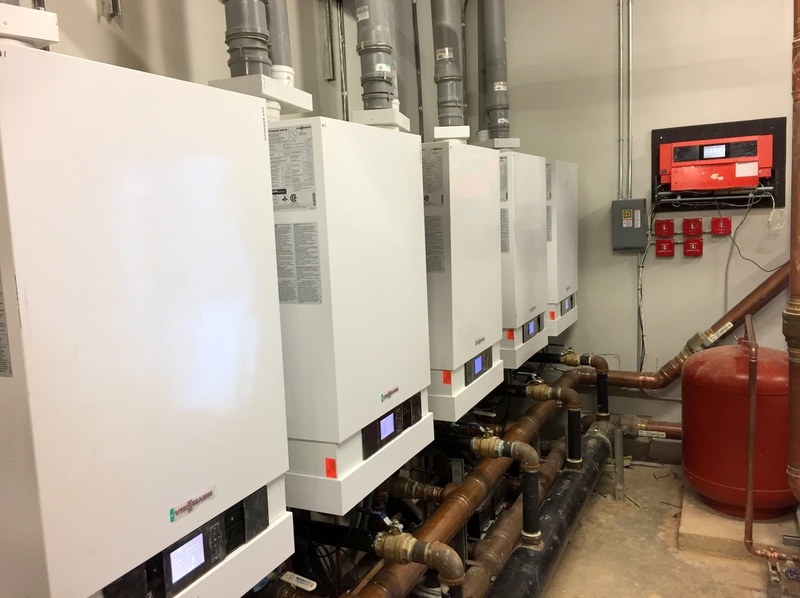 Sander designs, installs, services, and maintains hydronic heating systems utilizing Viessmann Vitodens 200-W B2HA and B2HB series wall-mounted condensing boilers and modular rack-mounted cascade systems. 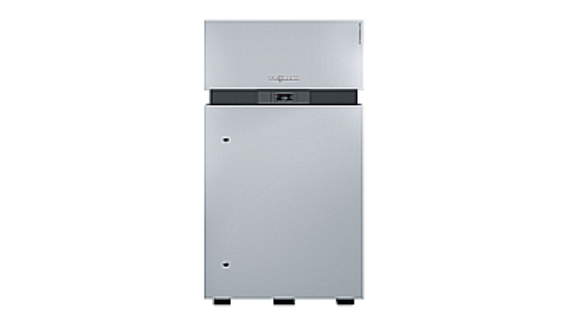 We also deliver turnkey commercial boiler projects with Viessmann’s high-mass, condensing boilers: the Vitocrossal 200 CM2 and Vitocrossal 300 CA3 series boilers. 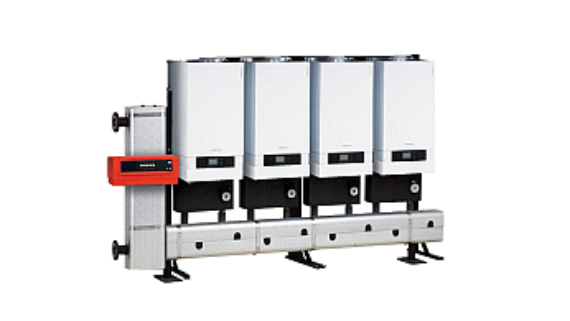 Viessmann high-efficiency condensing boilers out-perform Aerco boilers and Lochinvar boilers on reliability, durability, application flexibility, operational life expectancy , and ease of system maintenance. They offer a superior Inox-Crossal heat exchanger made of high-grade SA 240-316Ti stainless steel, providing a titanium stabilized material that is more corrosion resistant for condensing boiler applications, and less susceptible to hard water scaling and heat exchanger failure. 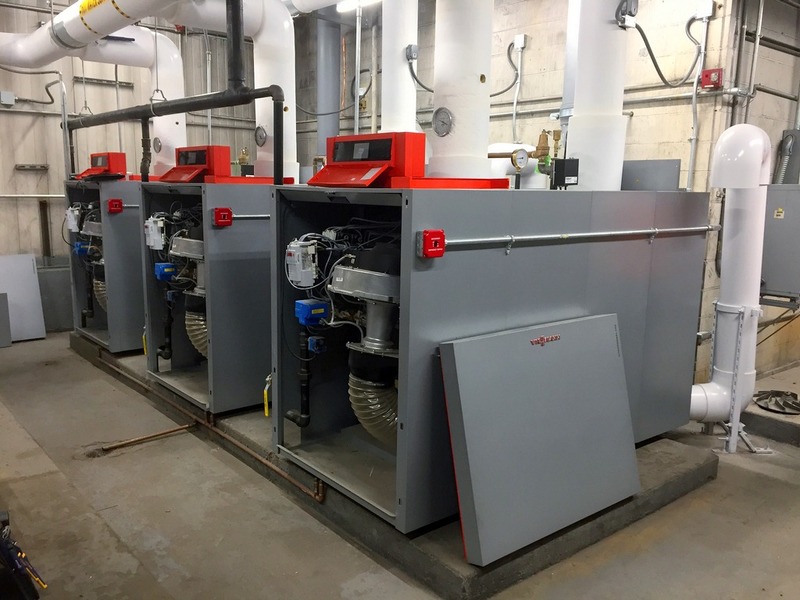 If you’re tired of expensive natural gas bills and repair costs to keep your old, inefficient cast iron boiler running, then please consider Sander Mechanical and Viessmann for your commercial boiler installation. 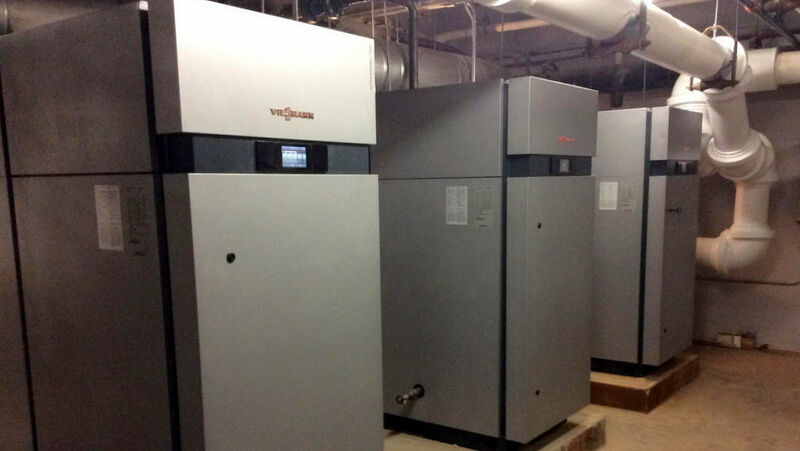 Viessmann condensing boiler systems will maximize comfort, improve your carbon footprint, eliminate energy waste, lower operating costs, and improve your bottom line. 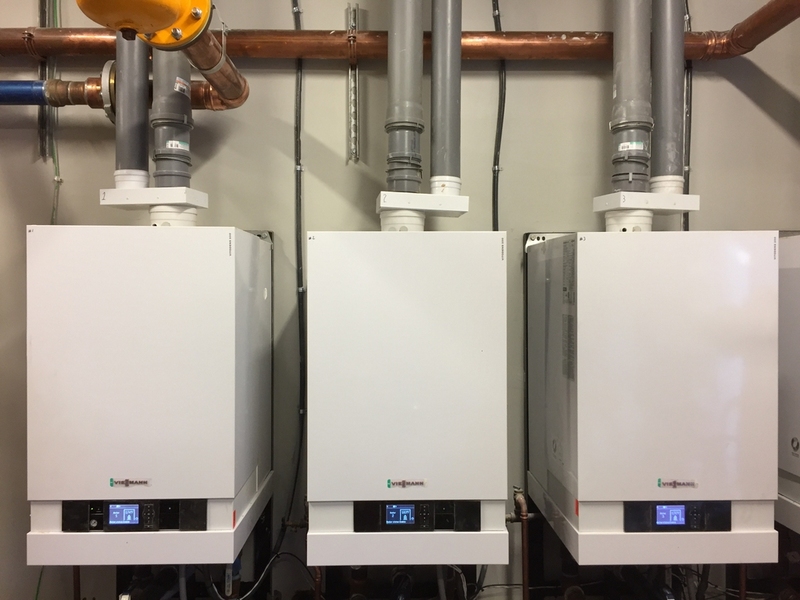 Paired with Viessmann’s new Vitocell domestic hot water tanks, Viessmann boilers can simultaneously provide space heating and indirect-fired DHW production, providing maximum system performance regulated by one control and powered by one burner. Fast recovery rates, large water volume, and low standby losses translate into comfort, convenience, efficiency and reliability. 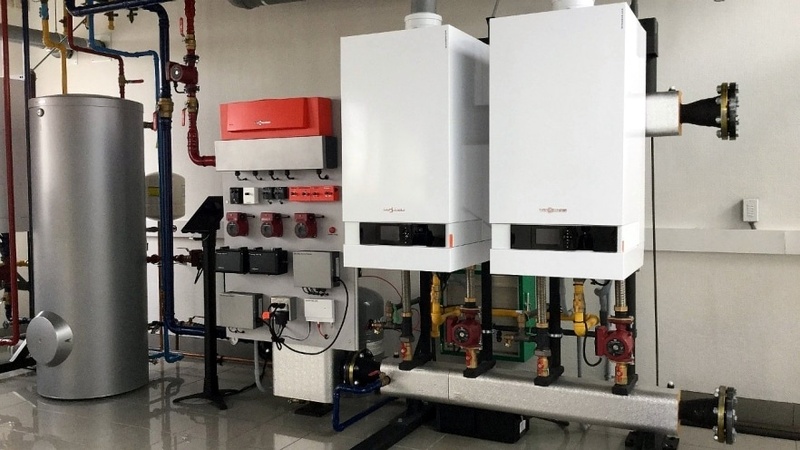 Prefabricated multiple boiler system with Vitodens 200-W gas-fired condensing boilers. Rated input: 60 to 4,240 MBH. 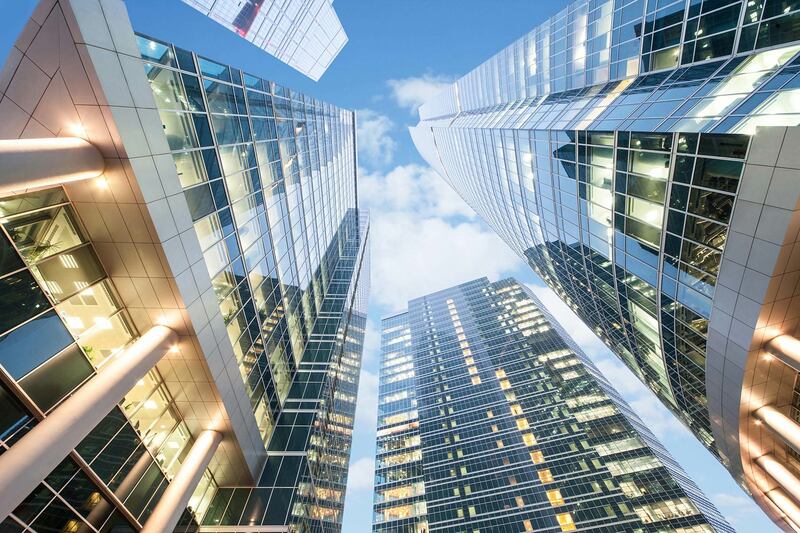 For apartment buildings and commercial applications, new buildings and retrofits. Prefabricated distribution manifold can be wall-mounted or floor-mounted, and is available in a variety of configurations: single-line, corner or back-to-back for ultimate installation flexibility. Outstanding performance with Vitodens 200 and Lambda Pro combustion management system; ensures maximum efficiency by automatically adjusting the gas and combustion air ratio. Heat exchanger is made of high-grade 316 Ti stainless steel, providing a titanium stabilized material that is more corrosion resistant and less susceptible to heat exchanger failure. 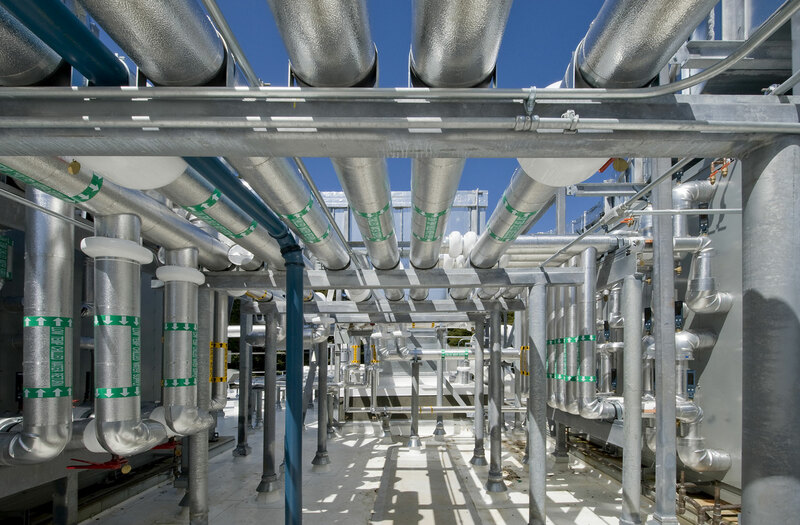 Simplified boiler system layout as manifold and Low-Loss Header provide complete primary loop. Boilers easily assembled & hydraulically connected prior to installation w/ prefabricated manifold. Flexible installation with multiple manifold configurations: floor standing, corner, or back-to-back. Right or left-mount Low-Loss Header acts as hydraulic break and helps eliminate air and debris. 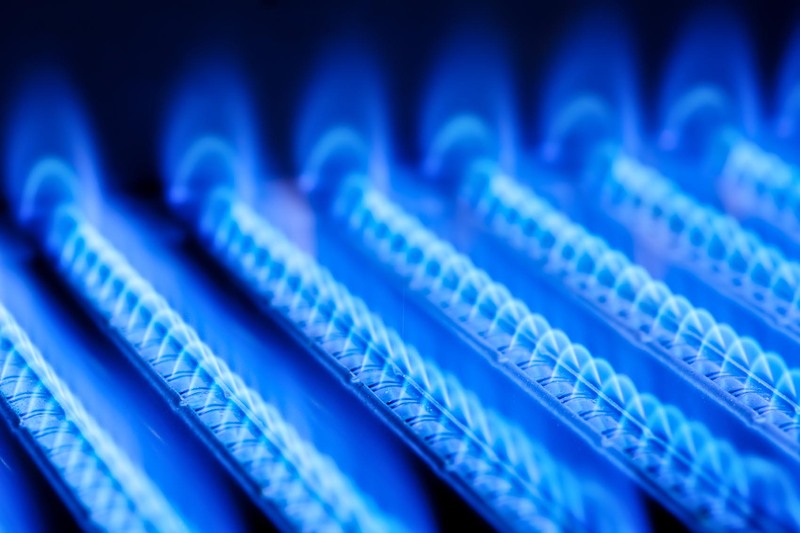 Gas-fired, high-mass, condensing boiler with fully-modulating pre-mix cylinder burner. Titanium (316Ti) Stainless Steel heat exchanger. 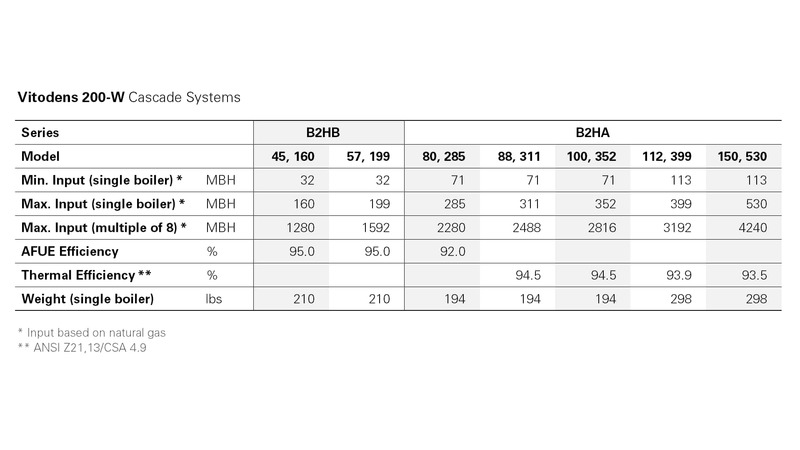 Rated input: 133 to 2,245 MBH (single) / 17,960 MBH (cascade). For multi-family apartment buildings, commercial applications, district heating, new construction and retrofits. 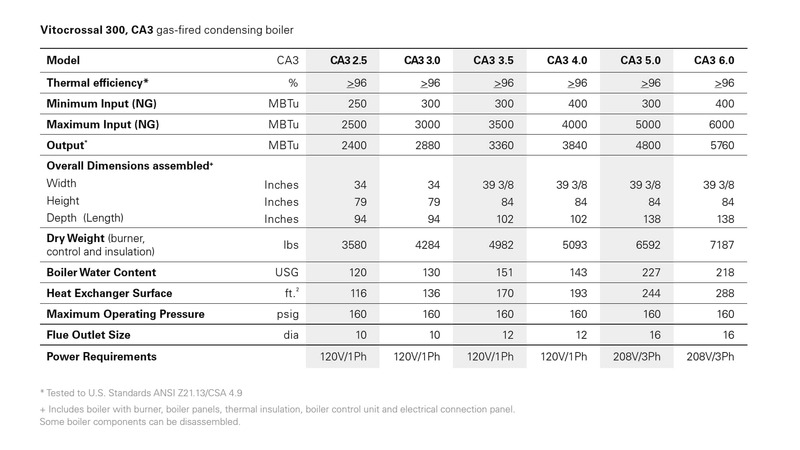 Up to 8 Vitocrossal 200 boilers can operate in a cascade configuration. The boiler combines unparalleled flexibility with maximum efficiency, making it your ideal choice for a new installation or economical retrofit in large residential or commercial applications. Gas fuel flexibility (NG/LPG/LNG) with simple electronic conversion. No dedicated boiler pump required due to extremely low water pressure drop through heat exchanger – no low-loss header required. 316Ti stainless steel Inox-Lamellar heat exchanger surface provides maximum heat extraction while maintaining a compact size. 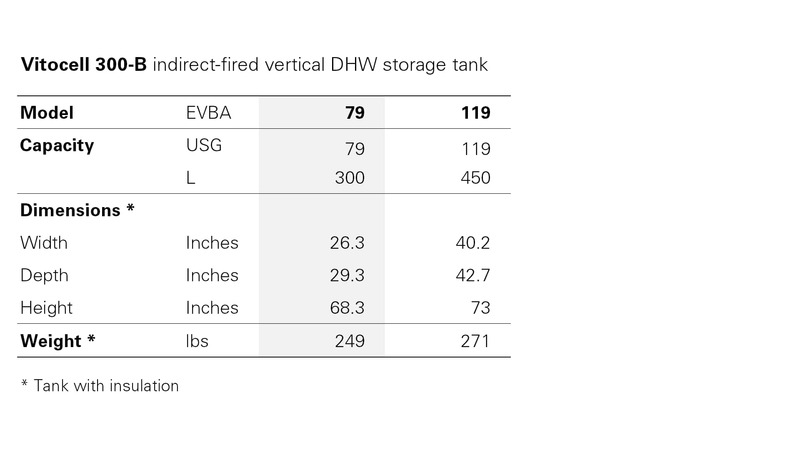 In contrast to most conventional direct-fired hot water tanks, indirect-fired DHW tanks from Viessmann, such as the Vitocell line, use the heating water from the boiler to heat the tank water. Space heating and domestic hot water production are integrated into one system – maximum system performance regulated by one control, powered by one burner! 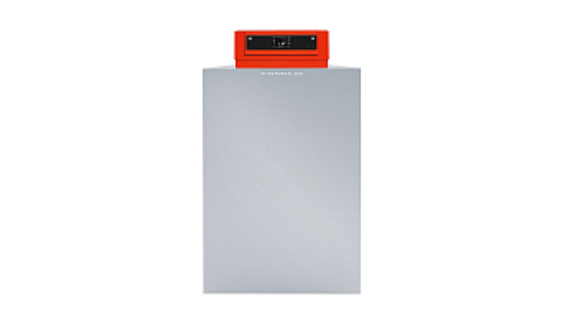 With a new Vitocell tank from Viessmann, you increase your comfort level and your savings at the same time! Fast recovery rates, large water volume, low standby losses translate into comfort, convenience, efficiency and reliability. Made of high-alloy (316Ti) stainless steel, the Vitocell 300 models are not only extremely hygienic, but are known for their operational reliability and long service life. The large heat exchanger surfaces of the Vitocell tanks extend right to the tank bottom and ensure an abundant supply of hot water and even water temperatures all day long. The heat exchanger coils are arranged for efficient venting and draining and facilitate start-up and smooth operation. HCFC-free insulation (foamed-in-place or wrap-around) reduces standby losses and increases operating efficiency. 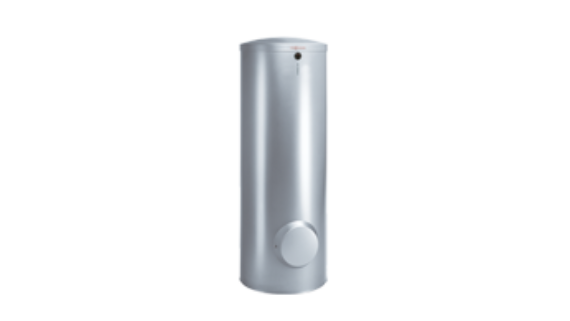 For larger hot water demand, several Vitocell 300 domestic hot water tanks can be combined into a multiple-tank battery via common headers. Convenience – Fast recovery rates ensure abundant supply of domestic hot water all day long. Comfort – Tank heat exchanger coil extends to tank bottom, thereby heating entire water content and guaranteeing even water temperatures at all times. High level of operational reliability and a long service life due to high alloy (316Ti) stainless steel construction. 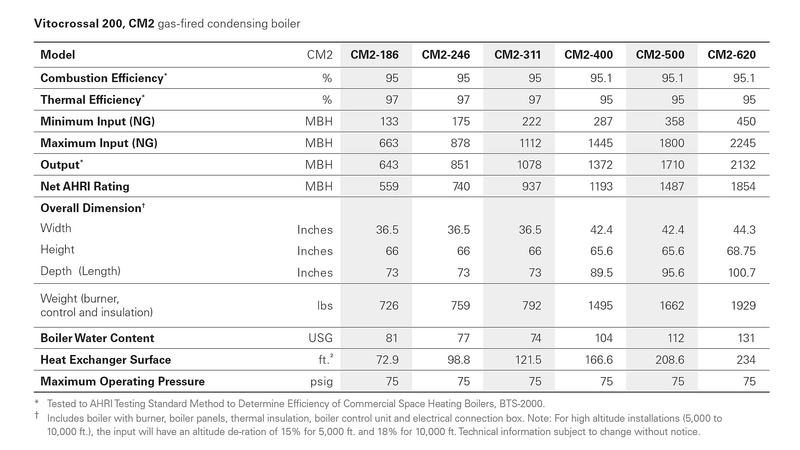 Extremely efficient indirect hot water production by boiler. 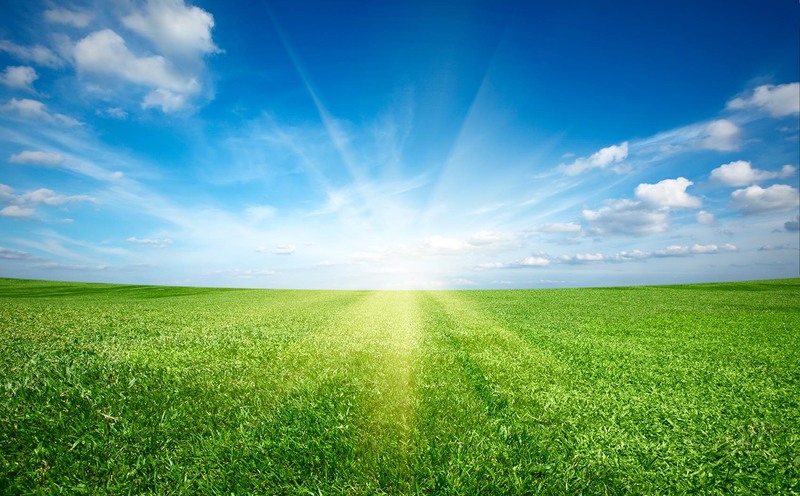 Save up to 50% of your operating cost compared to conventional direct-fired hot water production. 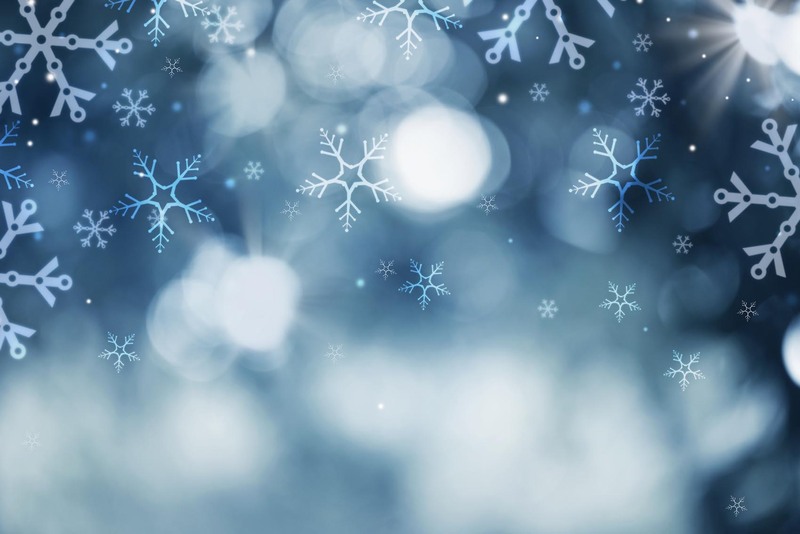 High-performance insulation keeps standby losses and operating cost at a minimum. Scale-resistant and corrosion-resistant; ideal for areas with poor water quality. Completely hygienic! 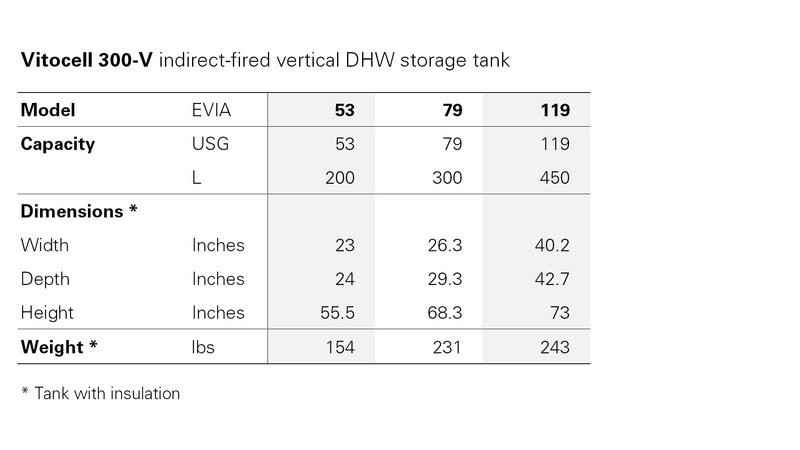 High-volume hot water – for larger hot water demand, several Vitocell 300 domestic hot water tanks can be combined into a multiple-tank battery via common headers. Single-coil, indirect-fired domestic hot water tanks made of high-alloy stainless steel to satisfy the highest expectations with respect to hygiene, recovery rates, and service life expectancy. Capacity range: 53 to 119 U.S. Gallons. Dual-coil, high-alloy stainless steel indirect-fired DHW tanks for a lifetime of hygienic DHW heating. Dual heat exchanger coil allows for solar heating applications, in addition to a hydronic boiler. Capacity range: 79 to 119 U.S. Gallons. 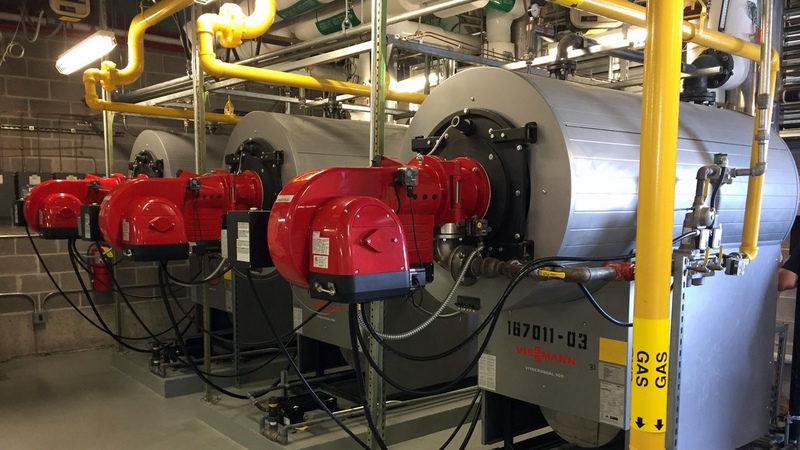 Interested in a new high-efficiency hydronic boiler system at your facility? 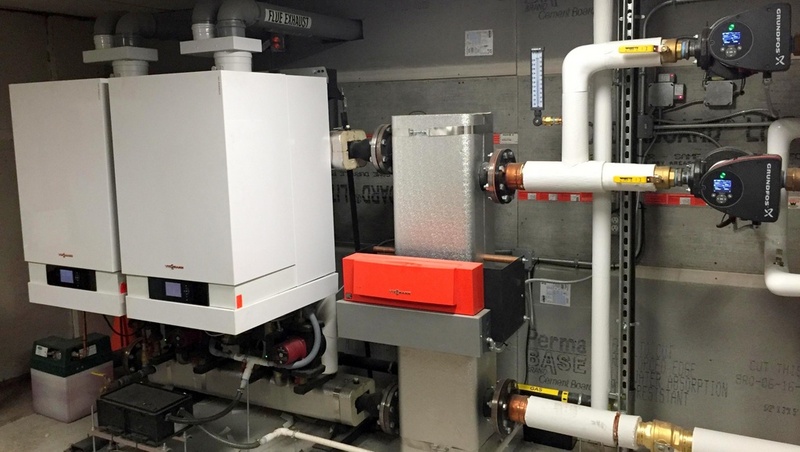 Contact us now for a free estimate for your commercial boiler installation in NJ, NY, and PA.
For more information on Viessmann’s high-efficiency boilers and indirect DHW storage tanks, please visit their website. Attention, NJ specifying engineers! Contact us today to setup a Lunch-and-Learn on the Viessmann product portfolio.